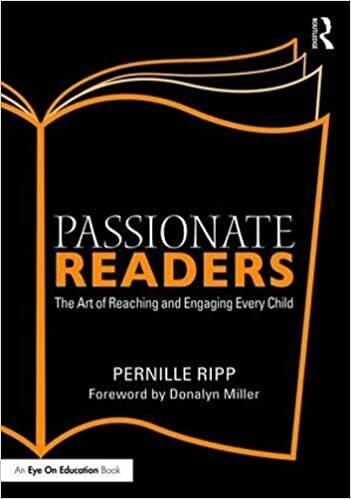 An often asked question I receive is, “How do you help kids set a reading goal?” And while the answer really could be an entire book, I promised the Passionate Readers Facebook group that I would write a little bit about my process here. After all, perhaps something I am doing as I try to figure this out myself can help someone else, or perhaps, and this is often the case, somebody else has great ideas that they can share in the comments. In the past, I used to set the reading goals for all of my students, after all, as the adult in the room I thought it was part of my job to set attainable goals for all students in order for them to read more, comprehend more, be more. And yet, whenever I sat with a student and we discussed these goals that I had pre-determined based on what I saw as their needs, unsurprisingly there wasn’t always full buy-in. Sure, some kids were onboard and appreciated the goals, some even took them to heart and really worked on them, but some also (sometimes many) forgot everything about the goal the minute our conversation ended. This then began a chain of reminders, notes, and post-its for their notebooks as I tried to somehow get them all to not just remember their goals but actually invest in them. Perhaps you have been in this situation as well? It took me a few years to realize that part of the reason these goals failed was that they had little student input. The goals were, mostly, determined by me, and while many of them were sound and based on best practice within reading instruction, they offered students little chance for ownership or engagement with the goal. This meant there was no skin in the game for our students and the goals were easy to dismiss. There was also a distinct lack of conversation surrounding the goal, sure, we conferred, but it often followed a “script” in a way and didn’t allow for a lot of natural conversation to occur. While I liked having a format as a newer teacher, it stopped me at times from really listening and reacting to what they were saying. Realizing these two things was a huge step and yet it still didn’t solve my problem; how do we create goals that students may actually want to invest in? Well for me the answer was student reading identity. Not the goal itself, but instead students (re)discovering who they are as a reader because without any kind of realization of this, they won’t do well setting goals. Desire – to increase reading stamina, success, and better relationship with books. Barriers – Doesn’t know how to select a great book, doesn’t take books home, doesn’t have “book people,” and doesn’t actually read outside of class, in fact, some days doesn’t even read in class. Old goal: I would have asked the student to increase their reading outside of school without realizing which and how many barriers they may be facing. Is this a goal that will actually work for you? How will this goal challenge you? What barriers are in place for you to reach this goal? Which habits do you need to change in order to reach this goal? What is your next step toward this goal? How can I support you in reaching this goal/What would you like me to do? The thing is, we need to give students more opportunities to discuss what they know about themselves as learners. And when some students inevitably tell us that they don’t know who they are as readers then that is where we start our conversations. We become detectives trying to help them recognize and then further their own reading identity, this then leads to them discussing and then choosing potential goals, even if for some it is a reluctant goal. The one they set for themselves is recorded and then discussed whenever we meet. This goal may be a goal that some of our students work on all year and while this may seem disheartening, I don’t think it is, in a way it makes sense; after all students sometimes have well-established habits that can take years of great experiences to undo – don’t we all? What I have learned in goal-setting with students is simple yet has once again transformed how I treat our year together. Conversation and uncovering/rediscovering their reading identity and then basing everything on that is what will fuel our goal setting. The students have taught me that everyone needs a unique goal. That the best goals start with reflection, conversation, and then are set. That goals only mean something if students are part of the conversation. That goals can change. That we should not set the goal for them if we can help it because this transfers the ownership. (Note: I have goals I set for kids privately but that is to inform my teaching and not part of our conversation.) That goals need to mean something. So as I sit with kids every day discussing what they are working on as readers, I am always amazed at the conversations we have. On how they reflect on themselves and what they need to do. On how more are realizing why this goal setting is actually worth their time. On how proud they are for reaching goals that matter to them. And while I am proud of all of our readers, I cannot help but smile the widest when a child discovers just how much they have grown. Not because a test told them so but because they realized it by thinking about themselves and their progress. Isn’t that how it always should be? How Do You Reach Your Vulnerable Readers? This morning I was asked what we do for our most vulnerable readers to help them be successful. As I took a moment to ponder this question, I realized a big thing; what we do for the most vulnerable is also what we do for all of our readers. We have fidelity to our students, not to our programs. I work in a district that believes in fidelity to the students and not to the program. Think about that for a second. Oregon School District believes in staying true to what the children need and not what an outside purchased program, no matter how research-based it is, tells us what to do. We use components from incredible programs, but they do not dictate our decisions; our students do. We place them with amazing teachers. We give them the best teachers we have to work on interventions. These teachers know their research and use best practices. They are given longer books, they have choice, they do meaningful work. We make sure they work on stamina in books, not chopped up passages to just check their skills. And we do not put them in front of computer programs. We need our students to read, to think, to work through a text and then come out on the other side with a deeper understanding. We need face-to-face interactions to gauge what they really know, not what a computer may think. There is no replacement for a qualified teacher and so every child deserves one, especially those who are not where we would hope they would be. We have them surrounded by books. We are also mindful of the books we surround them with. Inspired by the work of Dr. Simms Bishop, Chad Everett, Nerdy Book Club, and so many other passionate advocates for better library experiences, we think of how our library shapes our students’ identities. Can they see themselves? Can they see others? Who is represented, how are they represented, and who is not? All of this pushes us forward as we purchase more and better books. We are careful with our language. I flinch a little whenever I hear the term “struggling readers.” As Donalyn Miller has taught me, there is little hope in that term. How about vulnerable? How about careful? How about developing? How about just readers? Our language promotes a growth mindset so we have to be aware of what our language does to shape their self-image. How do we speak about our readers when they are around or not around? It is really hard to not lose hope when you have implemented best practices (choice, time, books, and a reading community) and then see little results. And yet, sometimes we are working against years of a negative reading identity. We are working on catching up years of stalled reading experiences. We are working against unseen forces that derail us any chance they get. So we must be patient. Patient with the child who is trying. Patient as the teacher hoping for results. I have said it before and will say it again; sometimes we are just the tourniquet that stops the growth of the hatred of reading or the negative reading experiences, not the teacher that will see the actual seeds of change grow and bloom. We balance our purchasing decisions. While we may be going one to one with Chromebooks, my principal will also tell you that she always has money to purchase books. Our literacy coach asks us if we want more books because if we do then she will get us some. This speaks volumes because if a district is spending money on technology without spending money on books there is a serious imbalance in priorities. And if that is the case, a conversation needs to be started about what is more important? So when I think of what we do for our vulnerable readers, I once again see the thread that runs through our entire school community; every child a reader, every single day. Every child deserves the best chance. Every child deserves the best teachers. The best experiences. The best, period. I am struck by the noise that surrounds us. As I walk through my school, Oregon Middle, the voices of kids float through the open doors. Sure, the teachers can be heard as well, but over and over, again and again, there the kids are. Asking questions, discussing, getting passionate. We are carried forward by the voices of the very kids we serve. It makes me even prouder to be a teacher here. And yet. I think back to the days where I thought silence meant learning. Where I thought deep engagement was almost always quiet. Punctuated by brief answers facilitated by me to check for understanding. Where I thought that if only I could get them to listen, then they would learn. If only they would stop talking then they would really understand. If only one child answered then surely that was engagement. If only they turned and talked when I asked them that meant we were doing student talk right. And while we still savor the quiet hush that surrounds us when we reach the zone with our books or with our thinking or with our writing, we also relish the noise that comes from student engagement. But not just any type of noise, the productive kind. The one that goes deeper. The one that isn’t just because the kids are being compliant but because they actually care. That is when student engagement is done right. So what can we look for when we evaluate the types of noise our kids are making? Is it you or is it them? While there is much to be said for teacher-led discussion, at some point we have to turn it over so the kids can do the probing, the analyzing, and the digging deeper. What if we didn’t give them all of the questions, but instead gave them the time to discuss? What if we modeled it but then truly let them take the reigns, not just once in a while but almost always? What if students came up with the discussion questions as well as moderated the flow? How much noise is it? Is the noise contained to brief periods of time in your class or is it throughout? Are students engaged outside of the questions we ask? Are the teaching points inspiring them to care more? To ask more? To push their thinking? Or is just having them discuss one thing and then lapsing into silence as they wait for the next direction? While I see many teachers embrace the “turn and talk,” I wonder how often that’s it for student talk. I am guilty of this thinking; as long as they turn and talk then surely there is student engagement. Yet I have found that in my eagerness to get to the next thing, I have often cut off the kids from going deeper into their conversations. That my desire to ask the next question has stopped their further inquiry. That my casual discomfort with student silence means they are not getting time to just think. I am working on seeing where it goes and following along when we can. What emotions lie behind the noise? I loved the discussion unfolding in our classroom today as students discussed “Who should get the baby?” after listening to an NPR podcast. They were so upset, not with each other, but with the facts of the case, how it wasn’t black and white, and also how others were not agreeing with them. To see this passion for a podcast as we discuss uncovering facts to change our perspective is exactly what I hope for; that they care about it. That they speak up because they cannot imagine staying quiet. That it matters enough for them to actually bother with adding their voice. And for me that’s it; when I think of true student engagement through student talk, I look for the emotions. How students speak. Why they speak. What they say, but also how they say it. Within this exchange, we can gauge their interest. We can see whether they are simply going through the motions or whether our class, our learning exploration, actually matters to them. And so this is where we start, where I start every time I evaluate our student talk; with the emotional investment or lack thereof. It turns out that the truth can really be found in how they speak their words. Am I really ready to be the teacher that these kids so wholeheartedly need? I keep seeing the ideas shared. The quippy lines. The hopes and dreams that we so eagerly pass on as reminders to one another. The mantras, the quotes and even the blog posts that tell us how we should be teaching. With urgency, with passion, with creativity. We should see each child. We should strive for more. We should make it relevant. We should make it challenging. We should make it real-world learning, whatever that means. We say we want the students to talk, but are we quiet long enough to hear them? We say we want innovative classrooms, but are we embracing new ideas, unafraid of change? We say we want hands-on learning, but are we providing opportunities for that or are we stumped for how to do it? We say we want kids to explore, but are we giving them the time to veer off our path? We say we want choice, but are we giving it? We share the ideas that others have and tell ourselves that they are right. That we can do education better, but then fall into our same patterns as we shut our doors and get to teaching. We nod our heads in agreement with all the pretty statements but then cannot find the time, the courage, or the know how to change. So as I prepare for this Monday, I ask myself, is this everything you hoped it would be or could it be better? And if so, how? How is there choice involved? How are their voices heard? How can they move around? How can it be relevant to them? How can it be fun? How will this help them grow? And then I can plan my lesson. I have never been good at helping students understand how to revise better. It seems like every idea I have had has only made them more dependent on other people, rather than develop their own skills. Sometimes I feel like I have tried it all; from checklists, to peers, to specific directions from me. From strengths to goals to next steps, for some reason the art of revising and revising well has not truly blossomed in our classroom. Until now. Because if the last two days are any indication, we are finally on to something. This unit came from my own realization as a writer. When I write, I edit as I go, but I also step away and give it time. I don’t jump right back in even when my editor emails me back. I marinate, I process, and I try to make it better when I finally do jump back in. I take my time, I make it a priority and I don’t try to squeeze it in. This is what I want my students to realize; that revising and editing creates more beautiful work. That it is not just something a teacher makes you do. That it is not just some thing on a check list. We stepped away from our written work for a while. And by a while I mean over a month. The two pieces my students have been revising were handed in before winter break. One is a short story, another is either an opinion piece or a summary. Some of my students did very well, others did not do at all. Before break they were asked to hand in their best draft (thank you Kelly Gallagher for that term) and then I told them to not do anything with them until I asked. I told them that rather than they trying to figure out what to work on we would work on our revisions in class. Why? Because when we do revision during our writing process we cannot look at our own work with fresh eyes. We get tired of it. We don’t see our own mistakes. We go through the process because the teacher told us to, not because we see anything wrong with what we have done. We have one next step. Inspired through a conversation with my friend Lauren, she told me how she tells her students what their specific next step is when she reads their writing. I loved this idea; one next step, not ten things you still need to work on. So after my students had self-reflected on their work, I wrote what I saw as their strengths in their writing and then the very next thing they should work on next. Why? This means that as a I handed my feedback to them, they knew where to start. Instead of “just” trying to read the rubric, which most of them admit that they don’t read or understand, they knew how to get started. Their process then developed from that next step. We read our work aloud. And not to get through it quickly but as if we are narrating our very own audiobooks. My students do not believe me when I tell them that I read every thing I write aloud, but it’s true (I am reading this aloud as I type right now), however, this approach has helped me catch many mistakes. Why? I have been sharing with my students how when they read things aloud their ears often catch things that their eyes did not. Once I got students to actually believe me, some moved into quiet spots and started to read. They were often amazed at how many things they caught. We edit on paper. I asked every child to print their short story and hand it in. Not because I needed it, but because they did. On Wednesday, I handed it back to them as I asked them to read it aloud and then asked them to edit directly on it. Not because we did not have computers in the room, but because they needed to see the mark ups that happen when we edit by hand. As they read their story aloud, their papers filled in. I did not tell them how to mark up their paper; they need to figure out their own symbols, but I told them I expected to see change. And change I saw. Why? Because when they only edit on a computer they mistakenly believe that they either have little to change because there are no squiggly red lines, or they think they have already changed a lot. When they sit with a paper version of their story they can see what they are changing, they can feel their story better, and they then get to type their changes into typed story. This also offers them another hidden chance of editing their work. A student let me share their marked up paper after they were done editing it. Everybody edits and revises. Often times we only tell our kids who may not have mastered something to edit/revise their stories deeper. We assume that the kids who show us strong written work already have edited/revised it a lot, but that is not always the case. In fact, I have seen how little editing/revising some of my more developed writers do. Why? For this every child was expected to change their work, even the ones who clearly had exceeded expectations, because they need to realize that there is no such thing as perfect work. We can always make something better, we can always polish something more. And sure enough, some of my more developed writers made their stories even better. We took our time. This was a unit in itself, not just one day’s worth of activity. This was an event, something important that I hope they carry with them. I explained how when I taught younger grades we used checklists and fabricated peer edits to show them what to focus on but that now they were ready for the next step; the idea editing rather than a checklist. This means that I offer them ideas of what they can work on and sometimes even where but that they must critically evaluate their own work to see what it needs. Why? This is hard work and deserves to be treated as such. This is why it stood on its own and not just the two final days of our writing project unit. I didn’t partner them. While I love a great writing trio (trio so that one child doesn’t do all of the work), I purposefully did not put them with a peer. I instead wanted them to shape their own process by choosing who they could work with. And they did, often trading computers and leaving each other comments. Were the pairings always the most powerful? No, but they were honest. Why? The kids knew that they could help each other and were chosen to be a help and so they did their best to offer critical feedback. I also want them to make connections without me so that they can shape their own writing process. It was exciting to see how much students supported each other when I got out-of-the-way. Once again, I am in awe of the small tweaks that we can implement to create a better writing process. I have seen incredible changes in the work that my students have revised. I have seen care taken to a new degree. I have seen a re-investment, rather than just a shrug off. By giving them the time and elevating this process to something that was treated with importance, my students now see a larger value in editing. Now the very next step is to help them hang on to that as they continue to shape their writing identities. Our classroom has been silent the last few days. A stillness surrounding the students as they sit in thought, only interrupted by the occasional whisper. I have felt rather useless, not teaching, barely speaking, and yet. That stillness has been a sight to behold. The stillness has been profound as students have sunk deeper and deeper into the work asking me to not interrupt. Asking me to let them work. And I have listen, and I have watched, in awe of what has unfolded. My students have reached a state of flow. That mental state where you are fully immersed in what you are doing and your brain is working optimally. That zone that we teachers hope to develop every day so that students can learn deeply. Yet ask most teachers whether their students reach flow daily or even weekly and they will tell you no. Their days are too disjointed, we have too much to cover, too many things to do. It seems as if we don’t have time for deep thinking these days. So what changed in our room these past few days? What changed for it to become this way? I stopped doing an all class mini-lesson. Instead, I have been pulling kids one-on-one as we work on their specific need. The children that need extra support sit close by every day so that I can support them whenever they need, others come to me for help or I come to them. That doesn’t mean there is no need for mini-lessons, just not right now for this unit. We brought in music. I always marvel at the students that can work intently while listening to music, yet year after year, I see it happen. So some students listen to music as they work, submerged into their own world the music allows them to shut everything else off. It heightens their focus, even though I will never understand how myself. Music allows works wonders for those that tend to interrupt, they focus on their music rather than others. They sit where they want and work how they want. Some students are inn bean bags, others move tables. I have a students that goes to the team area every day to work. Some type, others write. Choice surrounds us as students figure out how they work best and it allows them to get comfortable. I spoke more quietly. 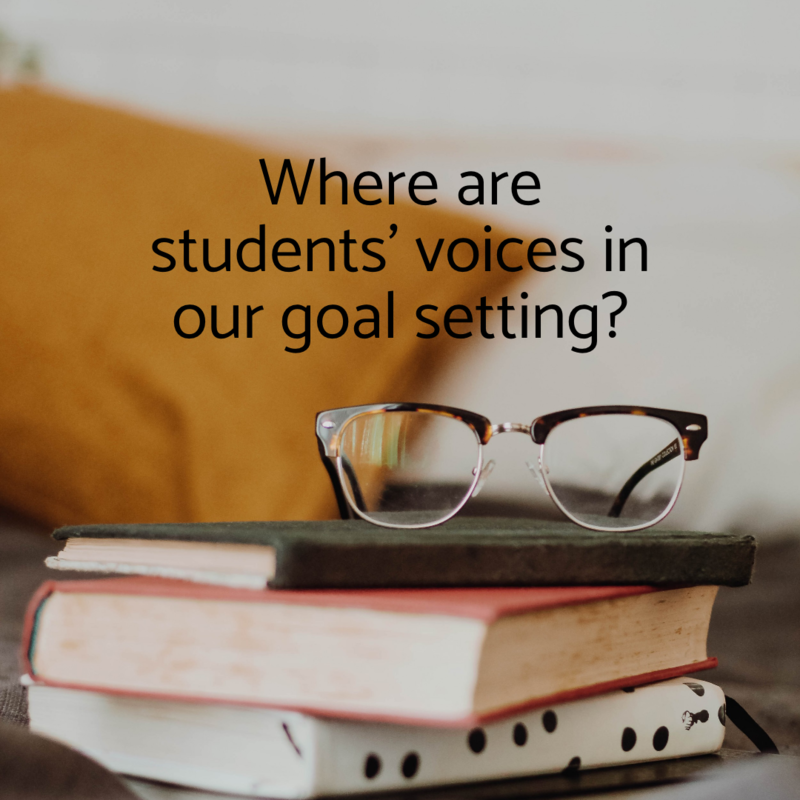 I can be rather loud as a teacher, so lowering my voice was not something that I often remember to do, but in doing so I have modeled it for my students. They know to whisper, they know to not disturb others. We speak for a few minutes before we start. As students get ready, as students get settled, instructions and reminders are given. And then I say, “Settle in, settle down.” I repeat as necessary, almost like a mantra, as the quiet slowly takes over the room. The lights are off or low. I have the most amazing window that allows a lot of natural light in. Most days we have no overhead lights on and the simple dimness of the room signals to the students that we are in a quiet work zone. The feel of the room from the moment they enter allows them to transition into the quiet, into the deeper thinking zone. I don’t interrupt. If a child is deep in thought, I think before I conference with them. Perhaps today is not the day to check in, perhaps a glance over their shoulder is enough? Too often our helpfulness interrupts flow rather than enhances it. I leave a note for myself of who I need to meet with and keep track with check-marks. I confer with every child every few days, sometimes just not on the day I had intended. The first day we reached the state of flow, I was giddy, and yet also filled with trepidation, would we be able to reach it again? When it happened again the following day, I started to pay attention. The words of my students continue to surround me; let us work, give us time, teach us individually if you can. and I try, and we work, and every day I marvel at the quiet, thankful of the thinking that is happening around me. 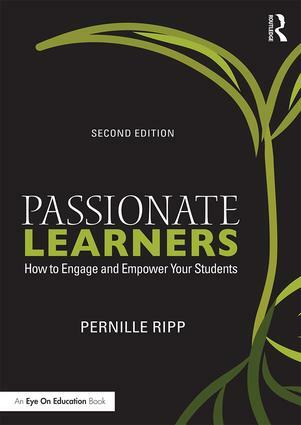 Note: I’m co-writing a book with John Spencer about flow in the classroom and student engagement. Go read his blog for great ideas on how to create environments where students are engaged. Then go and check out any of his projects to be inspired further.